Welcome back to 2 episode of Thai personal pronouns. 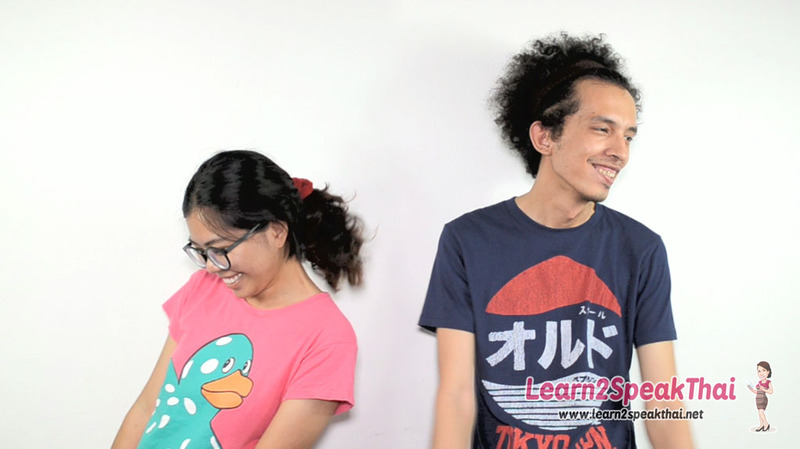 On the last episode, we talked about Thai personal pronouns as the meaning of “I/me”. And now we will talk about the personal pronouns which mean “YOU” in Thai language. kun wâang mái krúb ? kun sǒm-chai mee à-rai hâi châuy mái ká? Mr. Somchai, how may I help you? pǒm yàak bpai gin kâao gùb kun. I would like to go to dine with you. Although, the word “กินข้าว/gin kâao” means “eat rice” but the meaning is to have meal not only to have rice. “เธอ/ter” means “YOU”, it’s for informal conversation only. It is usually used with people of the same age or by the older speaker. I’m thinking of my boyfriend. กำลัง /gam-lang/ in the duration of acting, doing something. “หนู/nǒo” means “YOU”, it can be used as the 1st and also the 2nd person pronoun BUT it is mostly used for/with young children when they talking to adult or women or girls to their supervisors. nǒo jà bpai tîi nǎi krúb? I going to cross the street. bpai sòng nǒo dâi mái ká? “เรา/rao” means “YOU” is used to address younger people, men and women and for both singular or plural. It implies some sense of superiority in the speaker. taam mai rao maa cháa? Sorry ! the traffic is very bad. In Thai you may call people whom you addressing by their nicknames or by names when you are close to or know them well. But you have to be either older or at least the same age to call the people by their names. However, again in the family, the older members of a family will address the younger one by their nicknames too. ท่าน/thân is a 2nd person pronoun. It is used when you talk to highly respected people such as monk, royal family members, court judges, Prime Minister, minister or director of the organization. thân jà bpai nǎi ká? As a 2nd person intimate pronoun Thais use the word แก/gae for addressing their close friends, siblings or cousins either male or female. It may sound impolite with people. So, please use this word only among your close friends. gae taam gan-bâan réu yang? Not yet, what about you? รึยัง/réu yang/ or not yet? It’s the old way of addressing people. At the present time they are considered very impolite. But as I told you in the 1st episode of Thai first personal pronoun. These kinds of words in Thai are still being used among close friends when they talk to each other and also said by the elderly people in the family to the younger family’s members. And of course, as you are a foreigner it’s better if you don’t use these words. I am reading a cartoon book. what are the personal pronoun I’m not recommend you to use from previous episode and this episode? Daniel beat me to the answer, so I’ll just say thanks for these videos. They’re helping a lot! I will email you more information. Sawatdee krap Kru Mia! The personal pronouns that are not recommended to speak for us foreigners are meung, koo lae kae. how much will cost me to translate 235 page from thai to english?. I send the rely to you at yoram99@012.net.il, is that your email? I thought เรา mean “we” or sometimes “I”. Can you explain it to me? 1. “I” used when speaking with same age friends.